But the disaster in Afghanistan, like the cost of the accelerating arms race of the early ’80s, would not in itself have induced the collapse of the system. Sustained by fear, inertia and the self-interest of the old men who ran it, Brezhnev’s ‘era of stagnation’ might have lasted indefinitely. Certainly there was no countervailing authority, no dissident movement–whether in the Soviet Union or its client states–that could have brought it low. Only a Communist could do that. And it was a Communist who did. My youth, like everyone else’s life then and there, was framed by political events. I was 14 in 1980. The “Solidarity summer” was my awakening, the first time I realized that politics actually mattered and people could have a voice. I was 15, and a first-year university student in Wrocław, when martial law was declared in 1981. There were tanks in the streets and we were sent home for a two-month winter vacation. Everything was not quiet when we returned. Wrocław was a major site of opposition activity, both political and otherwise, and the authorities and police responded accordingly. My dorm was not exempt. I graduated in 1986, a few weeks after the Chernobyl disaster. Word of glastnost’ and perestroika came soon afterwards, but I was 20 and felt that I had nowhere to go but down. The food shortages, stress and living conditions had started taking a toll on my health in my teenage years already. I lived in a workers’ hotel with communal kitchens and bathrooms and my research work was going nowhere. When the possibility arose of going to graduate school in Canada, there was nothing to hold me back. I left in 1989, a few months after Poland’s first semi-free elections and just a day before the first non-Communist prime minister was appointed. That’s where I’m “from.” I get that question far too often. I’ve learned that if I don’t want to answer it, I have to refuse clearly and explicitly, because people will not take a hint. I do that almost always now, although ever since Kyrzbekistan was conjured into existence, I’ve been tempted to say I’m from there instead. I’m too tired of the solicitous inquiries about the local availability of Polish food and the quality of my relationship with my Polish family, or the stories of that one Polish coworker everyone has who is really such a nice person. (For the record, most of my favourite food is East Asian. Or Kyrzbeki, I suppose.) If the subject of recent history arises, I’m expected to confirm that, yes, those were hard times but now it’s getting better, so that we can all enjoy the requisite happy ending. Some believe that Poland’s new liberty was gifted to it by Gorbachev (essentially, Judt’s version); others, that Ronald Reagan’s fiery speeches scared off the Russkies (Judt, to his credit, treats that story with the disrespect it deserves). If I try to throw a wrench in it, I might be told that those additional details are very interesting but I should also try to understand the big picture; then the conversation returns to pierogis. I needed to know if I was the only one who objected to having my identity swapped for an easier one for the sake of other people’s comfort. I found that I was not–and that among those who got the idea, many had skin that was not white. I found compassion, understanding, wisdom. I found conversations that I joined willingly and happily to talk about where I was from and what that meant. I found those who would hear out and welcome the long version, then ask for more and offer their own stories in return. This post is for them. Judt’s Polish history is far from error-free. The city where Wojtyła served as Cardinal before his election to the Papacy is named several times as “Craków,” a weird amalgamate of the English “Cracow” and Polish “Kraków.” The Summer 1980 strikes reached the Lenin shipyard in Gdańsk on August 14th, not 2nd, and the strike at that shipyard was initially triggered by the firing of a worker, Anna Walentynowicz, rather then directly by the food price increases. The initial demands were met on August 16 and the strike was scheduled to end; however, several other factories including the nearby Gdynia shipyard had also gone on strike by then, in solidarity with the Gdańsk shipyard but also raising their own demands. As the Gdańsk shipyard workers started to disperse, Walentynowicz and her colleague Alina Pieńkowska called for the strike to be continued instead, in solidarity with the other striking factories. Were it not for these two women, there might have been no Solidarity. A joint strike committee was formed that night, and the famous list of 21 demands was formulated. After two weeks of negotiations with the government’s delegation, an agreement was reached and signed on August 31. 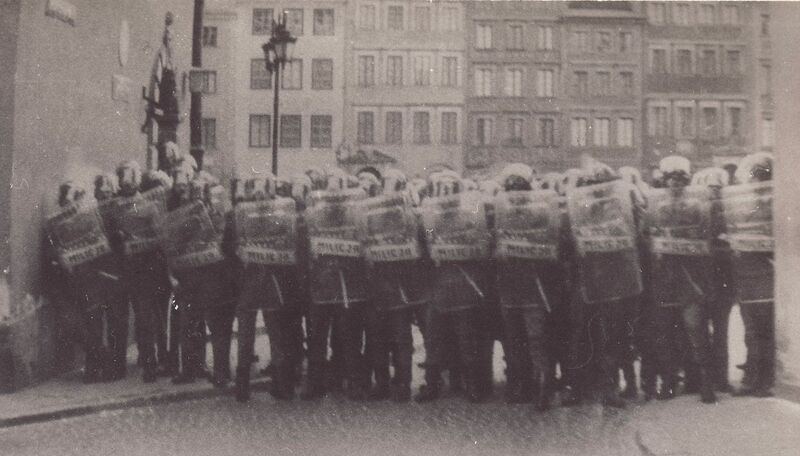 Almost all of Poland stood still by then, on strike in solidarity with Gdańsk and Gdynia. This is all in the first five pages of Chapter XIX; there is more later on. Forgive me if I’m being pedantic here. It seems to me, though, that in an age when Hollywood movies such as Selma are subject to detailed fact-checking, we should apply the same kind of close scrutiny to actual history books. One might claim that such details matter little in the big picture. I do not necessarily agree, not when the inattention to detail suggests an unfamiliarity with the mechanism. But as we zoom out, larger cracks also start to appear. The events of the early 1980s in Poland “were not in themselves a harbinger of the downfall of Communist power.” The renewed arms race bankrupted the Soviet economy, but “bankruptcy alone would not have brought Communism to its knees.” I’ve provided the Afghanistan quote already. Through the repetition, Judt ends up undermining his own argument. None of these events happened “alone” or “by themselves”: they took place together in a close sequence, and not independently. At the other end, the fall of Communism was not an isolated target in the desert, either. Transitions must derive their existence from the difference between the initial and subsequent state. I suppose one could ask “did the Communist empire fall, or did it not”? I find it much more interesting to ask instead what became of it, as Judt himself likes to do when writing about events in the West. It is possible that the Soviet Union and its empire of client states might have survived all of this, if by “survived” we mean the continued rule of the Communists. (Economic collapse was all but guaranteed by that point.) Certainly, nobody at the time expected its demise to come so soon. Gorbachev’s role in dismantling communism, and in allowing that to happen relatively bloodlessly, cannot be overestimated. And yet, I’d like to ask the same question about Gorbachev that Attewell asks about LBJ. Suppose that Gorbachev–or someone else like him, a devoted Communist but also well educated, pragmatic and relatively free-thinking–came to power in an alternate universe version of Eastern Europe where the 1970s and 80s had taken other turns. Would he still be willing to pursue reforms if his hands were not forced by the circumstances? Would he persevere and succeed if he found no political support? Judt’s narrative of glastnost’ and perestroika is not so much wrong as it is incomplete. In the wake of the Chernobyl disaster, he writes, “his fellow citizens were thus made publicly aware for the first time of the scale of official incompetence and indifference to life and health.” Publicly, maybe; but in a country where speech is not free, there is a gap between what is said publicly and what is actually thought or said at the dinner table. The depth of cynicism and mistrust of authorities in the communist Eastern Europe, and especially in the Soviet Union, would be hard to grasp for anyone who grew up in a functional civic society. We were angry and worried about Chernobyl, but not surprised. The incompetence was exactly on par with what we experienced every day on a smaller scale. These pages read as if Gorbachev, almost singlehandedly, worked hard to forge “a national constituency for change” in a society that had been previously unaware of the scale of their country’s problems. That may indeed have been his experience of working within the party, whose officials often lived in a well-maintained bubble. Beyond the party, the task was different. People did not need to be told that the system was dysfunctional. They needed a measure of reassurance that they would not go to prison for saying so in public, and with that provided, Gorbachev could enjoy a measure of sympathy and verbal support. The difficult part was to hone popular sentiment into political strength. A totalitarian state aims for total control of all activities of its citizens, be they political, social, religious, artistic, or any other. That has never quite been achieved anywhere, not even in Stalin’s Soviet Union. Communism was nonetheless successful in the destruction, or preventing the occurrence in the first place, of the normal fabric of public life: civic associations, organizations, social and professional networks were either eradicated or subjugated to the state, empty shells of what they could be in a more free society. In the Soviet Union, the damage lasted long enough to become all but permanent. The vacuum was filled by bribery, patronage, and other manners of unofficial wheeling and dealing, still prevalent in parts of the former USSR to this day. There was no social or institutional infrastructure conductive to building democratic movements. The people–a segment of the population in any case–may have had the will, but not the tools or the know-how of actual organizing. Meanwhile in Poland, after the initial destruction of the social fabric in WW2 and the Stalinist years that followed, an independent public life was slowly and gradually rebuilt over the decades. It started in small trickles in the 1950s, grew in strength over the 1960s and 70s, and finally exploded throughout the country in the 1980s. We had independent networks, organizations, publications, and none of it was difficult to find by the end of the decade. It is not true that, as Judt writes, “the moral authority of Solidarity had only grown in the years since 1981.” (We’ll skip the rest of the fact-check, not that it couldn’t be done.) Many were tired of the endless posturing and blamed Solidarity at least in part for the martial law and the subsequent economic crisis. When Wałęsa tried to stop the strikes that flared up again all over the country in 1988, he was not always well received. Only very few were active in underground political organizations. Contrary to beliefs popular in the West, the political opposition was not at all united under the banner of Solidarity; instead, there was a plethora of associations and self-proclaimed political parties, ranging from notable to small and very small, from leftist to the right and far-right. Most people had never heard of most of them, and had little or no idea what the others stood for aside from, of course, opposing communism. Such is activism when the normal channels of communication, competition and selection are suppressed or nonexistent. Perestroika came to Poland some time after it did to the USSR, but then it moved fasted. On April 4, 1989, the Round Table talks between the government and opposition representatives concluded with an agreement that scheduled a semi-free election for June 4. (The Russian authorities did not have that option, as “opposition representatives” simply did not exist. The only Soviet dissident that Judt ever names in this chapter is Andrei Sakharov, who was a heroic figure but did not actually represent anybody. The other critical and reform-minded voices had to be raised from within the system and did not necessarily have any backing beyond it. The Polish storyline, on the other hand, is full of such names.) Two months might be a reasonable time to prepare for an election for an established, fully functional political party. The Polish opposition had not even been legal until then. It was disorganized, fractured into factions (as was Solidarity itself), had no financial backing or resources, and had no experience in running election campaigns as there had not been any in four decades. The Communists were clearly counting on that. Nonetheless, most of the opposition managed to unite as a Solidarity coalition for the purpose of competing in the election, put forward a full list of candidates in the first two weeks, and campaigned for the remaining six. Social movements are social, as in “social events” or “social media.” Those who had no interest in conspiracy and did not even have well-formed political views except for general discontent with the status quo, could still be mobilized to collect signatures or pass on information if a friend asked them, or to go to events with friends and cool folks. The opposition may have been fractured and patchwork-like, but it also had competent and experienced activists. When Solidarity was permitted to publish a daily newspaper (Gazeta Wyborcza), Michnik and his staff were ready to run it from day one, and they ran it well. When it was allowed a TV program, it took full advantage of the opportunity to showcase a face of “the opposition” that was very different from the common image of street-brawling hooligans. On June 4th, the Solidarity coalition won. The Communists were thoroughly humiliated and lost every seat that they could lose. This was only a beginning. The opposition, still illegal just two months earlier, now had to form a government and get into the business of running the country, even as the massive economic crisis was getting worse from day to day. They faltered and made mistakes, many times over. And yet, a power-sharing compromise with the Communists was proposed and accepted, a government was in place by the end of the summer, and new legislation paving the way for economic reforms was proposed within weeks. It has not been an unqualified success. Yet, looking further east, one cannot help thinking that it could have turned out much worse. It’s likely that Poland would have had little chance of independence or democracy if Gorbachev, or some other Soviet leader, had not permitted that to happen. At the same time, the particular outcome that followed could have well been impossible without the long sequence of protests, gains and setbacks that had preceded it and from which both sides had learned–the same events that, in Judt’s opinion, did not quite qualify as harbingers and did not always merit more that a sentence or two***. As I was reading and watching reports from Kiev and the Euromaidan last winter, I thought I saw the beginnings of an independent civic society very similar to the one I remember from the 1980s. That, more than any political events, gave me hope for them. Having grown up around one kind of social unrest does not make me knowledgeable about any other. I have no advice for anyone in Ferguson. I’m probably not Charlie, not when many of their cartoons were not only racist but also misogynist. I started to draft a post about the Maidan events back then, then decided I had too little to say. All I can do is warn against quick judgements and uncomplicated narratives. And against dismissing as wrongheaded or inconsequential the social movements that you might not understand. (*) It’s really, really good. In light of this post, the obvious comparison would be to Andrzej Wajda’s Man of Marble and Man of Iron. I only saw Selma this week and haven’t had much time to think about it, but it should be safe to say that it’s up there with Man of Marble and better than Man of Iron. Wajda’s latter-day Wałęsa hagiography does not measure up to any of these. Arthur Koestler is the author of Darkness at Noon, an allegory of the Stalinist purges within the Soviet communist party. I cannot help but wonder about the extent of his influence on Judt, who spends too much time in his Eastern European chapters writing about the inside baseball of the intra-party purges and not enough about what was happening to the rest of us. In comparing the quote above to parts of Postwar, it also strikes me that Judt is much more forgiving of Koestler’s “unattractive behaviour” than, say, Polish anti-Semitism. I’m not out to defend anti-Semites, Polish or otherwise. I just wish that offences against women carried the same weight. (***) Case in point: Judt’s almost complete omission of the 1970 protests.